This post is sponsored by Good Reading magazine, Australia's premier magazine for readers. 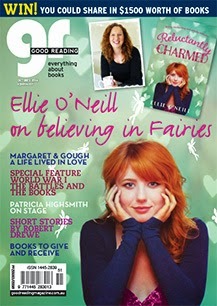 Good Reading is available from all good newsagents and at selected bookstores, as well as by subscription. My reviews often appear in Good Reading, and I rely on them as the very best resource for what's new and good in the world of books. 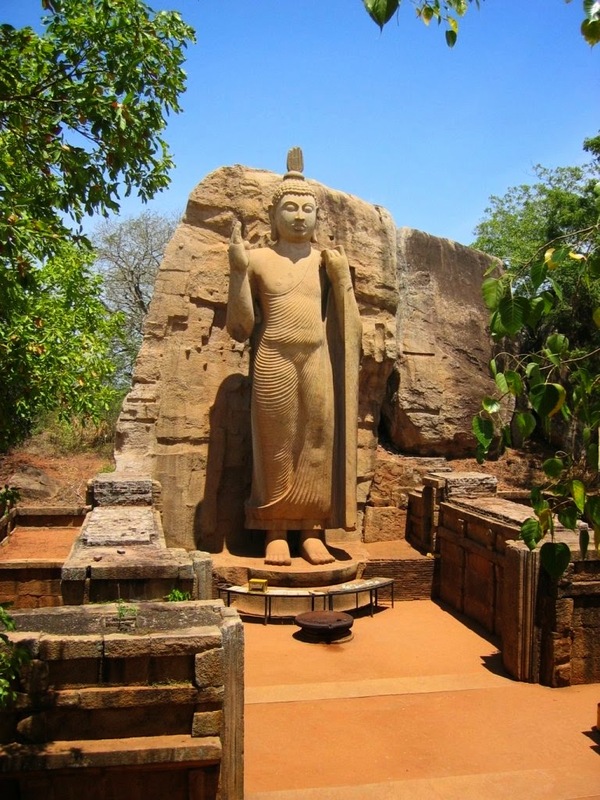 Sri Lanka is one of those countries that has fascinated me since my youth, but which I have never managed to visit. When you mention 'Ceylon' - the country's former name - I think of the opera The Pearl Fishers, the Buddha's Tooth Relic and the travels of Colonel Olcott and Madame Blavatsky, who formally became Buddhists there in their first visit in 1880. 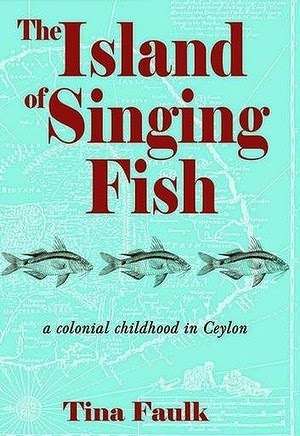 So it was with some interest that I picked up a new memoir by Tina Faulk called The Island of Singing Fish: A colonial childhood in Ceylon. Faulk comes from a fascinating minority community within Sri lanka called the Burghers, and this book makes a really valuable contribution to recording their history. The Burghers are the descendants of European settlers who came to Ceylon centuries ago, and represented a distinct class within Ceylonese society. At the birth of independence (Ceylon had been an English colony), the newly-nationalistic Sinhalese majority in the new nation of Sri Lanka passed laws that actively discriminated against those of non-Sinhalese descent, and many of the Burghers, who had become an English-speaking middle-class in colonial times, left. 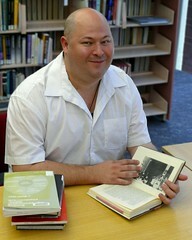 That is how Faulk came to be in Australia where she became a young journalist in Brisbane. Over 30 years the author returns to Sri Lanka many times, and this fascinating little book is in parts a family memoir, a history and a travel book detailing the Sri lanka of today which Faulk explores almost as a stranger. From the ramparts of Galle Fort she watches young married couples pose for photographs and drinks fruit smoothies as she reflects on the Dutch and Portuguese influence on Ceylon that is so formative a part of her own culture and history. I can't stress enough how unique a point of view the book offers. Faulk is a perfectly charming writer, and she is not prone to didacticism, so the stories and observations drift pleasingly by, creating a fuller portrait of this fascinating country whose very name became legendary in the English language (Serendip, the antique name for Sri lanka, is the root of our word 'Serendipity'). Whether its in carefully scrutinising the exquisite family photographs of a lost Ceylon or hanging out at the wonderful-sounding Colombo YWCA, the reader confronts a history and a present that is very little discussed in the English-speaking world. Faulk's status as an inside-outsider brings an immense amount of understanding to the stories and memories in the book, and I came away from it feeling much wiser about a country that has, until now, been something of a mystery, divided in almost equal parts between a notion of a romantic Buddhist paradise and a war-torn hell-hole. The Island of Singing Fish reveals instead a country more subtly divided, and more remarkably complex, than travel brochures or TV news can ever make clear. It is constantly fascinating, and a great model for other writers wishing to explore the possibilities of family memoir. Do see if you can get hold of a copy. As part of Thirroul District Library's series of weekly talks I will be at Thirroul Library this week talking about my travels in Cambodia. The free, one hour talk at 5pm on Wednesday the 12th of November is an opportunity to learn more about the history, culture and traditions of this most fascinating country. The talk is based on my book Destination Cambodia - two-and-a-half years in the making, it is an affectionate, whimsical and deeply personal account of my journeys through Cambodia, a country that has enchanted me for more than seventeen years. Do come along, or if you know anyone who lives in the area, let them know.